Since 1971, the federal government has invested a total of $32.4 billion into the National Railroad Passenger Corporation (a.k.a. 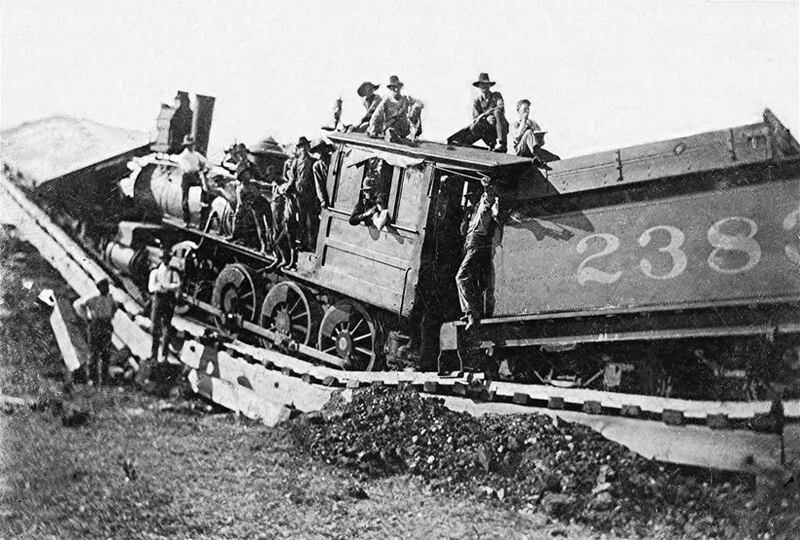 “Amtrak”). In return for this lucrative investment of taxpayer’s dollars, Amtrak has accumulated total net losses of $27.1 billion. If we were to average our investment over the last 40 years, it would equal approximately $810 million per year, yet in 2009 and 2010 U.S. taxpayers have pumped in an additional $1.6 billion and $2.4 billion, respectively. Thus it appears that Amtrak’s drain on our collective pocketbook is increasing. Likewise, if we were to average Amtrak’s losses over the past 40 years they would equal approximately $677 million per year, yet in 2009 and 2010 U.S. taxpayers have incurred losses of $1.5 billion and $1.4 billion, respectively. So it appears that our losses are also accelerating. The National Railroad Passenger Corporation (“Amtrak” or the “Company”) is a passenger railroad. The United States government (the “Federal Government”) through the United States Department of Transportation (the “DOT”) owns all issued and outstanding preferred stock. Amtrak’s principal business is to provide rail passenger transportation service in the major intercity travel markets of the United States. The Company also operates commuter rail operations on behalf of several states and transit agencies, provides equipment and right-of-way maintenance services, and has leasing operations. Amtrak was incorporated in 1971 pursuant to the Rail Passenger Service Act of 1970 and is authorized to operate a nationwide system of passenger rail transportation. The Company has a history of recurring operating losses and is dependent on subsidies from the Federal Government to operate the national passenger rail system and maintain the underlying infrastructure. These subsidies are usually received through annual appropriations. In recent fiscal years appropriated funds for Amtrak have been provided to the DOT, which through its agency the Federal Railroad Administration (the “FRA”), provides those funds to Amtrak pursuant to operating funds and capital funds grant agreements, respectively. Amtrak’s ability to continue operating in its current form is dependent upon the continued receipt of subsidies from the Federal Government. I love traveling by Amtrak but, to be honest, I have only ridden with them two or three times in the last 40 years. Amtrak, we love you, but you’ve got to go. If Amtrak is not able to make a profit, and thus return money to its investors, namely us, then what good is it? I could have flown to Cleveland for half the price that I paid for a sleeper car, and in a couple of hours versus the twenty-four that it took Amtrak. I literally can’t believe that having paid over $1,500 to ride from Atlanta to Cleveland, and back, that these guys can’t make a profit. I mean come on. Investing more public money into new rails and high speed trains is not the answer. Do you really believe that more people will ride trains if they were just a little bit faster? One can only imagine how much higher the fares (and losses) would be after such nonsense. It’s time to fish, or cut bait. If the private sector can’t make Amtrak profitable, then it can’t be done. Private investors are not dumb enough to continue investing in something month-after-month, year-after-year which has never and will never return a profit, nor are taxpayers. If Amtrak were owned by the private sector, it would be no more. That’s just the way it is in the real-world. At the same time, if there is any hope at all, it lies within the private sector. It’s easy for the government to keep flushing good money down the drain, because it’s not their money. It’s our money, so let us make the choice. No one said it was going to be easy. It’s time to dump Amtrak. The mandate: Amtrak will make the necessary structural changes to become profitable without additional governmental subsidies, and will return the taxpayers investment to the U.S. Treasury by the end of this fiscal year. If Amtrak continues to incur losses over the current fiscal year, then at close of business on September 30, 2011, its assets shall be sold and all proceeds returned to the Treasury. Ultra-conservative ideological nonsense! So why not discontinue subsidies for the airlines, starting with the air traffic control system. From now on that cost will be added to the ticket prices airline passengers pay. And while we're at it, let's make the airlines pay for construction and maintenance of all the airports, too. Municipal bus systems? You think passengers should pay their fair share of the actual cost of operations? So what if bus fares go up to $3-4 a pop! The fact is, ALL public transportation is subsidized in this country – from the airlines to sidewalks. And, in a modern society, that's the way it ought to be! Yes, my point exactly. It's time to end all of this nonsense. Either we will pay higher fares in order to make these services solvent, or we will pay it in higher taxes, or the nation will simply go bankrupt. Thus far, what you are advocating is irresponsibly leading the nation into bankruptcy. We will pay one way or the other, that's how things work in any society modern, or ancient. This should have been clear from the reports of the Amtrak Reform Council back in 2002. What ever happened with those recommendations? This is well written and accurate. Public transit agencies encourage people to believe that if their large subsidies disappeared, people without cars would lack any mobility. In fact, private forms of transit would quickly spring up to take the place of government transit. Such private transit would, in many ways, be superior to the government transit. It would be more likely to offer door-to-door service, operate during more hours of the day, and provide more limited or nonstop services to popular destinations. American taxpayers can no longer afford costly and inefficient government transit systems, particularly rail transit systems. Federal subsidies ought to be eliminated and local governments should open up transit to private and entrepreneurial solutions to relieving traffic congestion.